Until a storm damages your roof or time takes its toll on the shingles, your roof isn’t something you think about every day. However, as one of the most fundamentals protections for your building your roof is arguably the most important. Especially after a storm has moved through, it’s important to have your roof inspected by a professional to determine if you have hail or wind damage. In additional to this kind of roof care, here are a few more tips your Association should consider on an annual basis. Any twigs, leaves, dirt or pine needles on your roof can damage the roof’s shingles or membrane which can lead to the degradation of your shingles. One of the worst offenders for this kind of roof damage are overgrown trees. See more below. It is good peace of mind to have your roof checked by a professional after a storm has passed through your area. 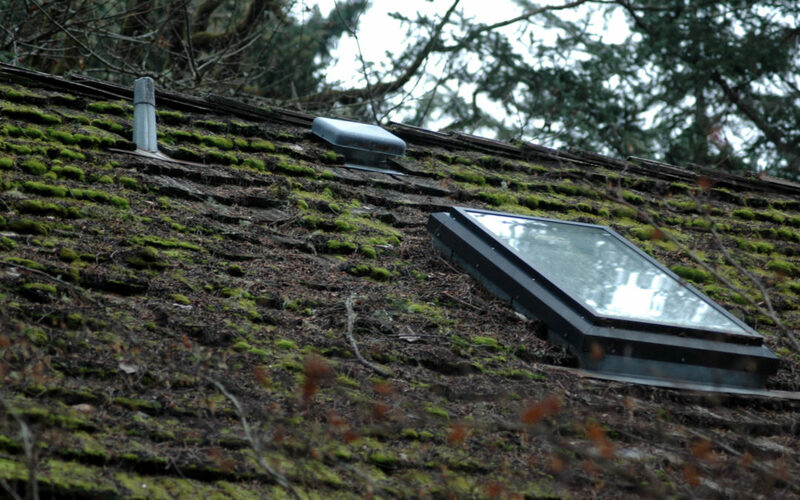 Things such as missing or cracked shingles, damaged flashing around the chimneys, skylights or vent stacks and hail dented shingles all need to be reported to your insurance company within 12 months of the date of damage. Claims for storm damage that are more than 1-2 years past the storm are typically not covered. Sign up today for our free, no contract storm damage monitoring program so this doesn’t happen to you. Debris that is trapped in the gutters and downspouts can prevent water from freely passing. If the gutters and downspouts are clogged, excess water may cause damage to your roof, siding and landscaping. Make sure there are no loose or saggy gutters as well because if they are clogged with water and debris, the weight can cause the gutters to fall off and potentially cause further damage to your property. Make sure to trim any branches that are hanging over your roof. This task is also recommended before the winter starts to prevent loose branches that are weighed down by the snow from falling on your roof. Branches the continually rub the shingles when the wind blows will eventually wear away the surface of the shingles. When this happens, the quality of your roof is compromised.